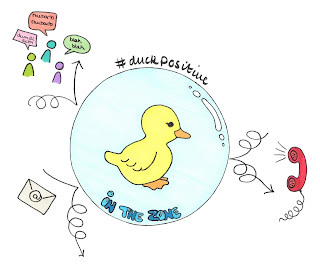 Well, the news is that the Transformation Team are officially #DuckPositive! I’m aware that outside a very small circle, that might not mean very much right now, so I’ll explain what it is and why we came up with it. This was originally going to be written in a Mother’s Day card, but when I started putting pen to paper, things kind of got away from me. To be honest, while this is an open letter to my mum, much of what I’m about to say also applies to the old man. I would not be here today if it wasn’t for my parents, and I think they deserve to have me tell the world how absolutely amazing they are. We have laughed, shouted, insulted, and supported each other through it all - thank you. 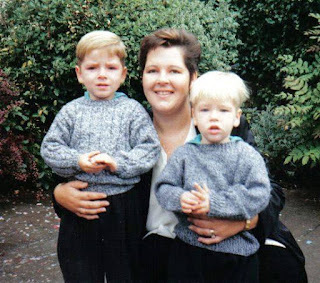 Happy Mother’s Day, and all that. At least this year you’re getting a letter - after all, last year’s offering consisted of a folded-up piece of A4! I’m not always the best at telling you how I feel, but I wanted to try and express how much I appreciate everything you have done for me over the years, even when I made it incredibly difficult. I am so proud to be your son. I was inspired to write this post after the #TimetoTalk day run by Time to Change last Friday. For those who don’t know, #TimetoTalk is a mental health awareness day, encouraging anyone with experiences of mental illness to talk. It got me thinking a lot about my own journey in sharing my story; the pros and the cons. There have been a few articles coming out recently with parts of my story; I’ve been featured in the Times Educational Supplement as well as the Southern Health Journal and The Daily Echo. I’ve been surprised by the range of emotions this has brought out; some positive, others less so. 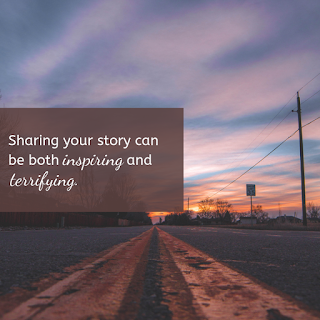 I think that it is important to share your story. It helps build understanding and compassion, and I think it has the potential to provide a lot of support for others who may be struggling. We all have our walls up, presenting the most perfect image of ourselves that we can over social media, and yet we still fall for it when we look around us. This post was originally going to be a tweet, but as I started writing, I realised it was never going to fit into 280 characters. I’ve been reflecting a lot lately on how the smallest acts can make the biggest difference; it’s impossible to know the enormous impact that a simple can change can have. I have found this to be true in both my personal and work lives. 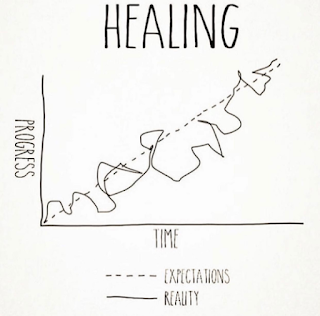 I have written before about the impact one care coordinator had on my recovery several years ago; she presented me with a simple, hastily drawn picture that changed the way I saw my journey. She was trying to help me, but I’m sure she had no idea how much that single act would do to support me. Christmas. For many people, it’s the most wonderful time of the year - a time to celebrate, socialise, over-indulge in mulled wine and have chocolate for breakfast. It’s a time to catch up with family, exchange presents, pretend that turkey isn’t the driest meat going. But Christmas can also be a time of high emotion for lots of people. 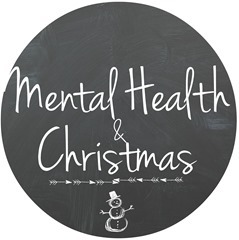 Christmas is a time when every routine goes out the window, a time of stress and pressure from all sides. For me, Christmas has been a tough time of year in the past. It’s difficult to join in the customary small talk with people you haven’t seen in a while when your news includes suicide attempts and hospital stays. And it’s hard to look back on a finished year that you don’t feel proud of. My last post was a difficult one to share, as it was incredibly personal and emotional for me to put out there. However, I’m so glad I did, as I’ve been blown away by the supportive comments and positive feedback I’ve received. 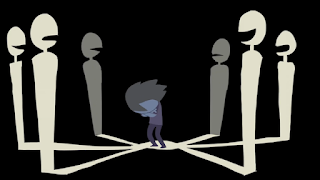 I found it really interesting to read some of the stories and comments written by others in response, particularly from people who admitted that they had bullied others in the past as a way of dealing with their own problems. I’m so glad that people reached out to contribute to the dialogue regarding bullying and the impact it has. However, in the midst of so much positivity and support, I was devastated to receive an abusive comment on my last blog post. When I first read it, I became paranoid that it had been written by someone I know, hiding behind anonymity. It made me worry that I was making a mistake by putting my thoughts and experiences up on this blog in the first place. 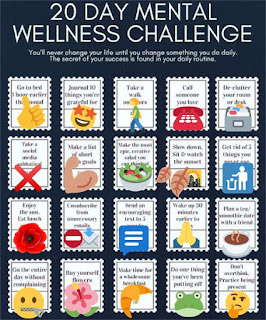 I thought I would do a quick update following the #20DayMentalWellbeingChallenge I took part in at the beginning of November. I found it invigorating to take a moment each day to do something small to stay in the present. I love my job, but there have been some steep learning curves involved in it, not least of all balancing work with finding time to look after myself. That work-life balance is key to mental wellbeing, and completing this challenge gave me an opportunity to stop and do something positive every day. Life can be very busy, and finding the time to do something for ourselves, to make us feel good, often gets put to the bottom of the pile. It’s easy to fill the day helping others and making ourselves busy, but this can often be counter-productive. It’s been a change for me to practise staying in the moment and taking care of myself. Hearing voices. Sometimes it feels like I have someone tagging along beside me all the time, whispering in my ear, telling me that all the worst thoughts I’ve ever had about myself are true. Inventing new horrors to believe about myself. Bringing me down when I’m at my peak. Following me around, terrorising me, making me believe I’m worthless. That I’m nothing. They didn’t come out of nowhere. And in the light of Anti-Bullying Week last week, I’d like to talk about my original voices: the ones who followed me around, taunting me, telling me I’d never amount to anything. I love my job. I’m sure lots of people say that, but I really, truly love my job. Working for the Trust in the capacity of Expert by Experience could well be one of the best things I have ever done; I feel we’re making some real strides in terms of ongoing change, and it’s a really exciting time for Southern Health. On a personal level, my role makes me feel good about myself, it’s been beneficial for my own mental health, and I feel I’m learning a lot about myself. It’s made me value my experiences and the journey I’ve been on in a new way. The journey to recovery can have its ups and downs. When you say it like that it seems really obvious, but as a concept it’s something I’ve struggled with over the years. When I was under the Early Intervention in Psychosis team (EIP), I constantly felt as though I were stuck by my various diagnoses. I would have periods where I was doing really well, and then I would be completely floored by the more difficult times that followed. I felt like I was putting in an impossible amount of work to succeed, and the idea that I could slip so easily made me feel like a total failure. Getting up every time I fell down became harder and harder. This is the part where I tell you who I am. I don't even know if I've figured that out yet, but I can apparently tell you what I am. I'm a service user. A patient. Some people might call me a victim; others might use the word survivor. My doctors tell me I have 'schizoaffective' disorder. According to my job title, I'm an 'Expert by Experience'. I've been through trauma. I can experience psychosis. I've been detained. I get paranoid. I disassociate. I get depressed. I hear voices. My name is Nathan Clifford. I don't think any of these things tell you who I am; I can only speak for myself. In this blog, that's exactly what I'll be doing: sharing my own strategies for recovery. It might be something other people find helpful, or it might not. I'm probably not an expert.